Aubio Life Sciences focuses on plant-based skin care. John Paul DeJoria, founder of some of the world’s most recognized plant-based companies, has recently put his considerable experience behind new personal healthcare company Aubio Life Sciences. The new product by Aubio is the first over-the-counter cold sore product developed with a formula that utilizes an extract of the carnivorous plant, sarracenia. Now, in response to the increasing number of Americans who prefer all-natural remedies, DeJoria has recently supported and teamed up with Aubio, by investing millions of dollars on research and development, tests and clinical studies to develop uses for this untapped, often called “miracle plant” of modern medicine. The carnivorous plant, Sarracenia, can cleanse itself of the deadliest organisms and even survive after consuming all types of viruses, infections and diseases commonly found in insects. In a recent clinical study, the plant’s extract has shown extraordinary anti-viral activity when included in a formula to alleviate the symptoms associated with cold sores/fever blisters caused by the herpes virus (HSV-1) - a common skin aliment suffered by more than 170 million people in the U.S annually. A carnivorous plant first studied by Charles Darwin piqued the interest of Aubio founders. The plant, Sarracenia, of the Drosera family, seemed to fascinate Darwin above all others. Though Darwin died in 1882, Native Americans have used the plant’s healing extract for a wide variety of skin conditions for more than a century. Aubio Life Sciences plant-based products are available throughout the U.S. at leading retailers including Target, Rite Aid and CVS. 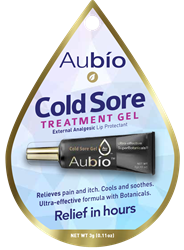 Aubio Cold Sore Treatment Gel features Advanced SuperBotanicals – a proprietary plant complex that penetrates deeper into the skin, enhances smoothness, emollients, and moisture that in turn delivers superior, fast-acting results. The second product, Aubio Hydrating Lip Therapy, provides broad spectrum UVA/UVB sunscreen protection, SPF 30. The balm is combined with skin lipids (ceramides, essential fatty acids) “molecular skin cell building blocks” to restore compromised (i.e. chapped, flakey, cracked, tender) surface of the lips. The lip therapy provides a thin film, a substantive barrier for hours of long, soothing, hyper-moisturizing protective relief. De Joria has set his sights on Aubio revolutionizing the skin-care industry and making a difference in people's lives. As quoted in a 2016 Forbes background piece by Chloe Sorvino, DeJoria says “I’m very careful what I lend my name to.” If his past and current endeavors are any indication, Aubio Life Sciences is a company to watch. For more information, please visit http://www.aubio.com and follow them on Twitter @AubioWorks and Facebook https://www.facebook.com/aubiolife.